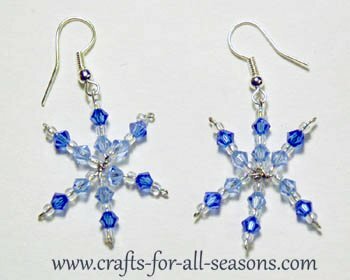 I made these snowflake earrings are made using Swarovski crystals. They catch light and are beautiful! You can find everything you need in the jewelry and beading aisle of your local craft store. 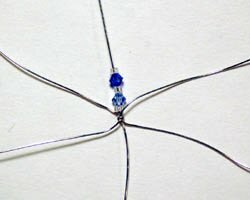 Even if you have not made any jewelry before, these step by step instructions are easy enough for a beginner to follow. Your ears will be sparkling soon with these beautiful beaded earrings. Make a pair for yourself. These also make a perfect gift for the holidays! 1. 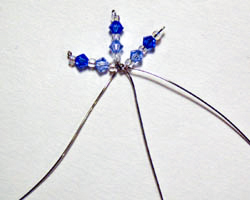 Begin by cutting 6 lengths (3 for each earring) of wire to about 4 inches long. Twist these together in the center, very well. 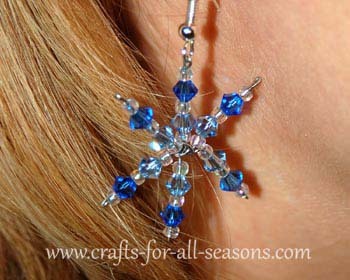 The easiest way to do this is to hold them together with the pliers, then use another set of jewelry pliers to twist. 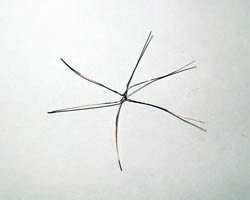 Once twisted, spread out the arms of the wires to form a snowflake shape. Pinch the center well with the pliers and make sure each arm isn't wobbly. If they are, twist them a few more times to make them nice and secure. 2. On one of the arms, thread on a clear seed bead, followed by a darker color Swarovski crystal, then another seed bead, then the lighter Swarovski crystal, and end with another clear seed bead. 3. 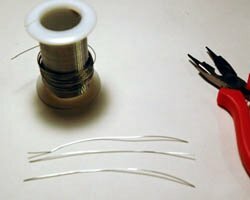 Secure the end of the wire by first clipping it close to the end with the wire cutters, then make a little loop at the end with the jewelry pliers. Repeat this for all the arms of the snowflake. 4. 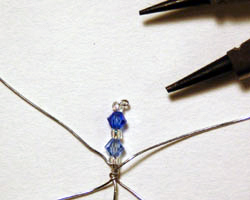 On the end of one of the arms, attach the fish hook earring loop before you create the loop in the end of the wire. Enjoy these beautiful earrings!